There is no doubt that the 75,000-seat stadium soon to be the home of the Valencia CF football club, called the Nou Mestalla is the most impressive when it comes to sport stadium designs. Hailed as the most visually attractive stadia in Europe even before its completed, the Nou Mestalla football stadiums inside features stacks of wood and its external façade an abundance of aluminium and glass. Initially, the concept for the football stadium to be built along the Avenida de Les Corts Valencianes was presented by Mark Fenwick in 2006. 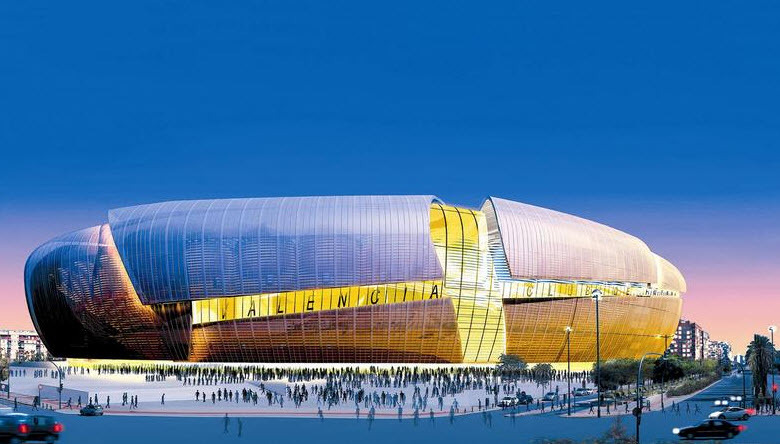 The renowned architect’s concept for the most impressive stadium in the world’s plans comprised of glass surfaces. The inside of the stadium was designed with three tiers to offer seating to 73,200 fans. The Nou Mestalla project was priced at €344 million in 2007, and the completion was expected by May 2009, although by March it seemed clear that it would take longer than predicted since only the main concrete structure was ready. At the time Valencia CF was held back by debt and was unable to afford the cost of the remaining work needed. No progress took place until 2013, despite several attempts to get the project restarted. The overall costs were cut down to €200 million by simplifying the facades, roof covering was reduced, and the stadiums capacity were downscaled to 61,500. The Nou Mestalla is not only the most visually impressive sports stadium but also offers exceptional facilities, starting with a hospitality and reception area of 1,200m² and the total area for the players is 4,400m², including asymmetrical changing room of 450m² as well as a secondary changing room of 250m², while the area for the officials is 750m², which is part of the stipulations for five-star status by the UEFA. The stadium also offers FIFA and UEFA five-star facilities and state-of-the-art press facilities, while it features a 3,000m² restaurant offering exceptional views of the pitch plus seventy-five catering venues as well as two big self-serving restaurants, several commercial concessions and no less than eight coffee corners. The top tier of the Nou Mestalla stadium accommodates 22,000 spectators while 18,000 sports fans are accommodated for via the middle tier and 35,000 is accommodated via the lower tier. 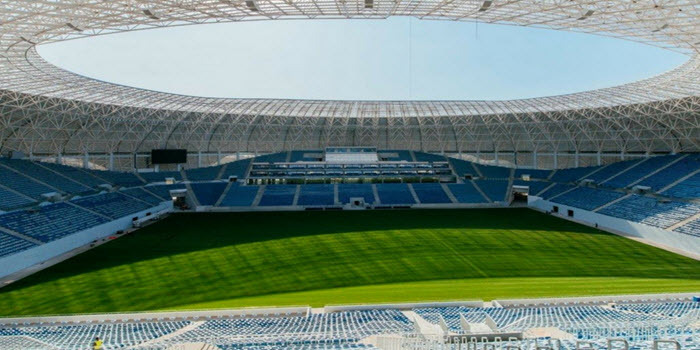 The stadium will host mostly football events and is also great for athletic events which involve temporary track installation, a process that takes around five days. While the Nou Mestalla stadium’s seating bowl offers space unrivalled by any other football stadia in Europe, it also offers an excellent series of external services such as the Valencia CF Club office, stadium tours, a club retail shop, as well as a club museum. Sports fans can also use 3,100 parking spaces, 330 VIP spaces or 130 VIP premium spaces, while 30 spaces are preserved for technical staff and players and 15 spaces are allocated to coaches and buses. We’ve explored interior styles in previous weeks that inspire and enthuse while the list of tremendous trend-setting designs continues this week. If you’ve decided to re-create your entire home or just your living room, you have a load of super exciting décor ideas and styles to choose from as we continue to discover and explore more options. Steampunk is one of the most creative styles and enables the designer to mix machine style, with industrial to create an elegant interior. This design style composes of raw materials such as bronzes, coppers, dark wood and leather. The furniture style used in Steampunk offers industrial flair and the sofas and chairs are constructed from metals and salvaged woods completed by leather upholstery. Light bulbs are used without decorative objects and often used bare, while the most frequently used to complete the look is old maps that adds a vintage feel to the style. 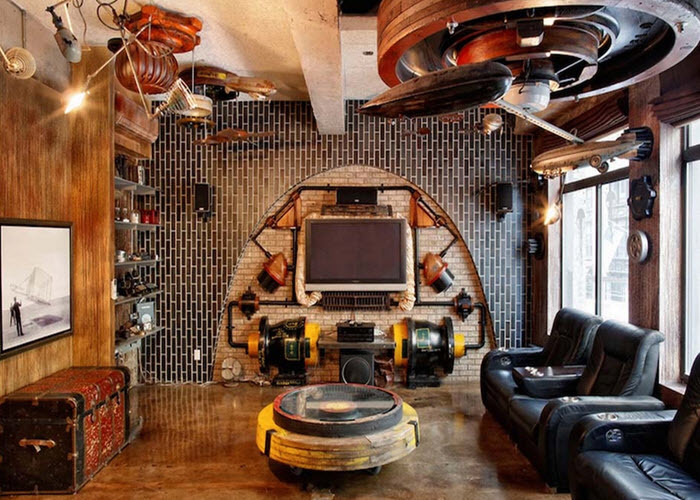 Perfecting the Steampunk design is exposed concrete walls, materials like pipes, and weathered wood beams all adding to the charm of the design. Steampunk is a magnificent blend of Gothic broodiness and Victorian flamboyance combined with industrial age mechanisation. The design style originated at the turn of the 20th century and is inspired by HG Wells and Jules Vern. The style is extremely popular and often used in films and it continues to be one of the most popular this year. Gothic is characterised by dramatic and heavy styles. The style is perfect for anyone who loves a dramatised design and colours that simply intensifies, although the look can be based on personal preferences as long as it still offers the feeling that you’ve entered a medieval castle that brings Gothic into the modern age. While the white-wash technique is used to create Greek styles, wooden items can be painted black and chairs added with side panels can make it easy to transform current items to complement the style. Wooden box chairs in black are often used while regular tables are added to with thick frames, while dark red cushions combined with purple provide a dramatic look that can be further enhanced by bright colour painted ceilings. The style is often thought off as colourless or scary, although in reality it is romantic and characterised by essentials such as candles, medieval tapestries as well as fireplaces. Whether you are a huge home décor fanatic or an inspiring designer, you’ll find inspiration from these amazing trend-setting designs. There are so many different design styles that we decided to select some of the most popular ones for this week. 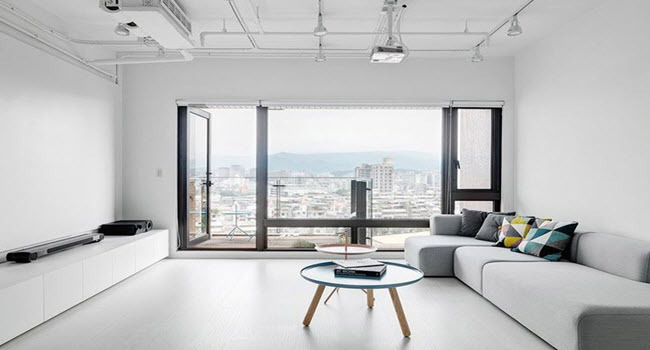 Focused on striking shapes, sleek lines and clean designs, Asian interiors often creates a serene, peaceful feel. The Asian décor style is complemented by stone sinks, decorative greenery, pebble backsplashes and mostly contain references to natural items or nature. The main focus in Asian-inspired homes is serenity, cleanliness and the use of multi-purpose furniture that also offers disguised storage. Most commonly used in this design style are benches and ottomans opening up to offer storage, chairs and sofas adorned with scattered pillows in a variety of colours. Table lamps and light fixtures are as practical as the rest of the furniture and accessories are normally intricately patterned table lamps. As visually attractive as the Chippendale design style is, so is its history. Inspired by the furniture catalogue published by Thomas Chippendale, the furniture used are strongly influenced by the architectural elements of the Chinese widow patters and roofs as well as Rococo and Gothic finishing’s. Intricately detailed chair backrests are achieved via back legs with designs flowing upwards, while tapered legs are one of the most featured characteristics of the Chippendale styled furniture. Lacy patterns and club feet are also part of the favoured design, while furnishing is mostly made form easily carved mahogany. Chairs and stool are upholstered with silk or velvet, while the Chippendale interiors are styled with creamy greys and whites as well as neutral tones. Chandeliers are basically a must when it comes to completing this sophisticated style and favoured metallics such as bronze, silver and gold are used throughout the Chippendale styled home. Simple, clean and with emphasis on sleek, defined by simplicity and Nordic aesthetics is the best way to describe the Danish interior decorating style. Fabrics, upholstery and patterned scatter cushions are used to introduce bright colours, while stark whites, neutral tones and beige are used throughout the home to provide seamless contrast with bold-coloured accessories. The furniture used is without detail as the focus is clean lines and function takes priority over style. The focus of each room falls on tables and chairs combined via a few decorative pieces. The Danish style is preferred by many due to its uncluttered, crisp, cool interior style that also uses lamps with sleek basses and white shades placed to illuminate the monochromatic colour palette of this design style. Whether you favour the Danish, Chippendale or Asian interior design style the focus remains on creating a home that is never cluttered with lots of accessories and each of the styles offers a refreshing, clean and crisp look. Should not one of the above styles be what you’re looking for, do return next week we’ll be exploring a whole range of other design styles. 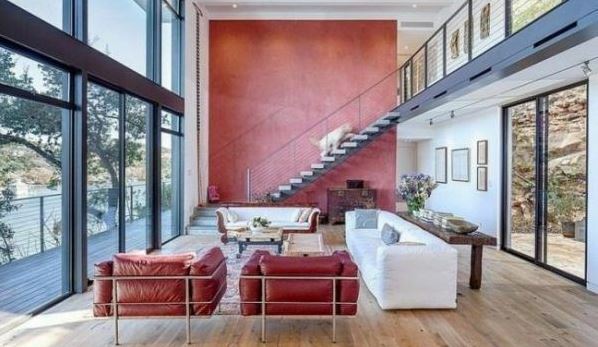 Vogue released the eight design styles most in fashion for 2019, if one of your new Year’s resolutions are to redecorate your house, these designs could be all you need for inspirations. The new trends for this year include Mid-Century Modern, Nautical, Scandinavian, Bohemian and Industrial. The Scandinavian design is a spin-off of the popular mid-century designs and adds a minimalist look that could remain in favor for many years to come. This interior style is favored for its playful accent colors, gentle contours as well as its perfect equilibrium of organic and engineered materials. The Scandinavian furniture designs are contemporary, simple and focuses on functionality. Several of the top Scandinavian designers utilizes the principles of Bauhaus, characterized by object proportions focus, fluid lines with an anti-elitist appeal. The majority of interiors that specializes in the Scandinavian design uses grey and white tones as foundation colors, while the focus during design is on a versatile aesthetic in the home that offers clean and fresh visuals and optimized living comfort. In modern design, the most iconic pieces are still those produced in the mid-1900’s, characterized by minimalist silhouettes, refined lines and natural shapes. The mid-century modern masters include Jacobsen, Eames, Niemeyer, Saarinen and Noguchi and materials includes aluminium, molded plastic and plywood, while all units and designs are versatile enough to complement a variety of different styles. Mid-Century modern enables you to mix elements of different design styles, while the focus is on making your home look fresh. 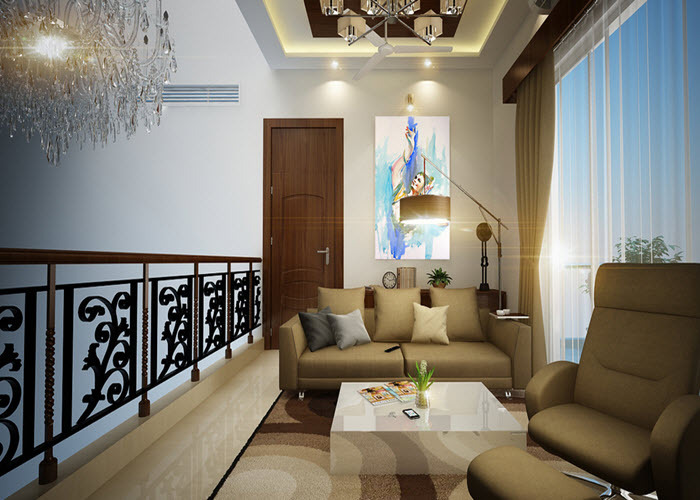 The best way to approach this design is the purist approach blended with minimalist. Industrial remains a favorite and has been in fashion since the turn-of-the -century, it emphasis on the liberal use of wooden elements, exposed steel and is best enhanced by exposed brick walls. The more modern version also includes copper-tone accents and the feel have slightly shifted to a more mature and rustic feel. The industrial design ranges in decor from items with cleaner lines to modern rustic and rugged vintage with ornamentation touching elaborate. Depending on your personal taste this design can offer an almost antique look, lighter and chic look depending on accessories and the color blend. Positive, relaxing and warm are the characteristics that makes Nautical a great design most preferred for cottage style and coastal decor, since if reflects the beach house spirit of New England. The design style is focused on a sand colored and/or white foundation with the primary accent color being blue. Materials most used or incorporated in the nautical decor style is unfinished wooden chairs and tables combined with linen upholstery for sofas and seats. The decorative accents include rowing oars, clear jars, navigational maps, jute ropes and seashells. Bohemian is all about an avant-garde lifestyle, capturing the adventurous and carefree spirit. The perfect blend of vibrant colors, rich patterns that focuses largely on rich purple and red tones is key to the carefully planned purposefully almost messy look. The warm ambiance is created via layered textiles, which always includes tapestry, rugs, throws and lots of pillows. The Bohemian style looks best when it includes pieces that offers nomadic vibes or ethnic styles such as tribal-inspired designs, boho-chic, Moroccan flair or Southwestern inspiration, perfect for anyone who loves metallic, animal hide, and wood accents. When it comes to the super cool boho style, you can find a couple of books written about the new bohemian trend. 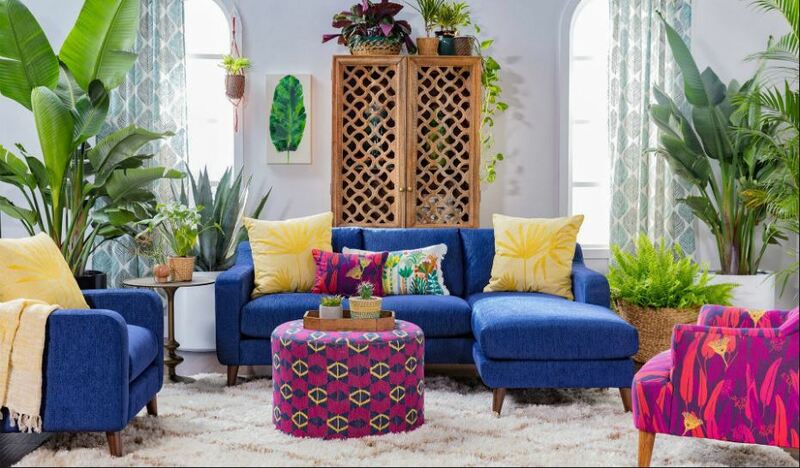 There is a new term for the love of plants, colors and patterns and it is the new jungalow look that is in. The main thing is not to be intimidated, as the style created by Blakeney do not include teal as part of the design and the bold colors do not have to overwhelm the space. According to the new design that could be the trend in 2019, cool tones can work as the central focus point in any room, while it is good to balance it with warmer colors such as coral or even terracotta. Warm colors you can use throughout the house can include copper accents, orange hues or warm wood tones. Velvet is considered a luxurious fabric, a major concern is the wear and tear, yet today most of the velvet’s are synthetic and it wears nicely, plus it is really easy to clean. The perfect way to get the jungalow look is by blending velvet with textured linen or cotton, you want to avoid too formal feel. The fabric mix is a great start, yet you need to rethink your walls, what you collected over the years can now become the main art piece, the look requires an earthy vibe. What is great about the new jungalow look is that you can mix it with modern tables as you don’t want to go too rustic. What you do need to learn is taking risks with different patterns. Striped wood and other patterns can complement each other while a mix of rustic and modern well blended can create harmony. The new term jungalow combines bungalow with jungle, so it makes sense to bring a bit of outdoors into the home. Every room should feature some greenery to liven the whole room up. Arched doorways can add to the feel, rounded out it offers a special feel and adds to the flow from one room to the next. Adding a nook is a great way to utilize space, adding shelves under the bed area creates extra space, and your nook can work as a type of a daybed. Your terrace needs to be a space where you can hang out, where built-in benches offer both seating and storage, while it could also become an outdoors bed. It is about comfort relaxing in a condo kind of feel, an atmosphere completed by vintage rugs and lots of pillows in different fabrics to create a cozy feel. Mix warm and cool colors, use earthy elements, some modern items and bring in lots of greenery such as plants and you on your way to creating the new jungalow look where comfort and cozy collide beautifully. There is nothing quick about the pudding enjoyed by the royals, it takes about two months to make and then you get to enjoy it for at least a year or should we just state that that is how long it could last. 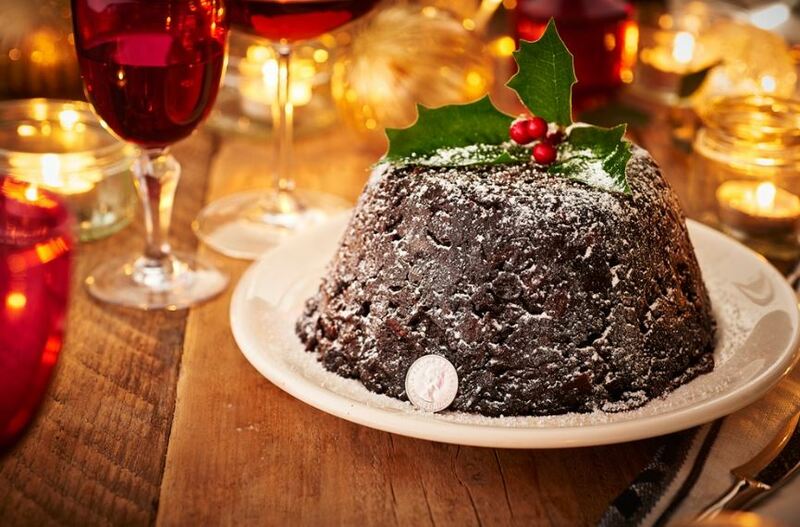 The royal pudding is not only meant for Christmas, this heavily laced brandy or rum, well actually both, since the pudding can be enjoyed for months, it is a favourite for up to a year later, while it can also be the best hunting treat, frying it up to offer everyone part of the hunt a warm snack. The preparations of the fruity royal pudding actually start once the queen and her staff arrive back from Balmoral. Their visit to the Scotland highlands takes place in October, which leaves the chefs with only two months to create the masterpiece/s. According to inside information the chefs clean out, the sinks to ensure they have enough space to make the mix as so much is requested by the royals and they love it right through the year. Due to all the brandy, beer and rum, the royal pudding is quite well preserved and can be stored in the fridge for just short of a year. The Windsor’s still enjoys the pudding up to September of the next year and love offering it to their guests. The puddings for the royal table are cooked by the chefs in a 2-pound bowl, many of them, since the pudding is served at lunches starting from Christmas right through to New Year, celebrated in Sandringham. The Queen’s page is responsible for the final touches, he pours brandy over the top of the pudding and then lights it, the royal pudding flames up marvellously. Although the chefs know better and keep huge amounts of the mixtures in large baking trays to remain ready for the demands of any other occasions, which is at such functions named a plum pudding. Slices of 3 inches thick are then fried in unsalted butter and crisped up to offer gooey insides. A 2-pound bowl of the Royal pudding mixture is enough for around 30 servings and the list of ingredients include: 2 cups dark beer, 5 cups raisins, 3 eggs, 2 cups demerara sugar, 1/2 cup dark rum,3 cups currants, 3 1/2 Tbs mixed spice, 1 1/4 cups flour, 2 cups candied peel, 1/2 cup brandy, 2 1/2 cups beef suet, 6 cups fresh white breadcrumbs, 1/4 cup unsalted butter for greasing bowls and parchment as well as 1/4 cup brandy for pouring. Lightly grease the sides and bottom of the bowls used for the pudding as well as three pieces large enough to cover bowl tops. Mix all of the ingredients and cover with aluminium foil. Place a large steamer with water at least 1/2 up the sides. Boil for five hours. Cool & refrigerate for a minimum of three months reheat in a steamer for about two hours. Singleness, Clarity, Simplicity, these are the words that are used to describe minimalism in the home, it gives us vividness and power and lots of joy as it is also a sign of great art according to Richard Holloway. If minimalism is your resolution for the New Year, it would mean you will intentionally try to live with only the things you really need. Minimalism is freedom from the passion to possess lots of things, it is intentional, it is also freedom from the modern mania, even more freedom from duplicity, it is also counter-cultural, and completely achievable. Minimalism is indicated by purpose, clarity and intentionality, right at the core of it is the intentional promotion of the things we value as well as the removal of all other things that distracts us from what we really value. It is a lifestyle that forces intentionality, and at the same time, it forces improvements across all aspects of our life. Modern day has brought us into the belief that a good life is determined by the amount of stuff we accumulate, the number of things we possess and therefore most continue to accumulate things they never need. People believe that the more things they have the closer the idea of happiness is and at the end happiness can’t be purchased for your local store. The idea is wrong on so many levels, we all are too hurried, too stressed and too rushed plus we simply too busy, our homes are too busy, which causes a chain reaction of stressing us, and it’s too busy to provide us with a place of relaxing. Working long hours to pay all our bills, although the debt continues to increase, and we all rush from one activity to the next, while everyone is multi-tasking. Yet do we ever get all done? We always busy connecting with others via our mobile phones, while the real or true life-changing relationships escape us. Minimalism means we rid of all we don’t need, and we don’t ever purchase anything unless it is truly necessary, which actually means you’ll be able to survive with only a third of what you have right now. Sell it, give it away or simply have it removed. Immediately your home environment is less busy or cluttered it already offers a calmer environment. If it is only the essentials you live with you won’t need to purchase much apart from food, your house remains more organised, and you get on top of your bills as they will not increase, and you won’t make purchases. Living with less means more freedom, especially financially! Living with only what you need, not the stuff that impresses your friends only the things you truly need offers a lifestyle of less clutter, less stress which ultimately equals more freedom, more time to spend relaxing and more time to truly enjoy live!